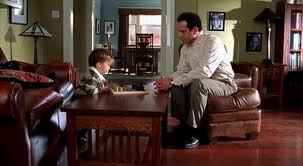 Adrian Monk is a savant. A brilliantly observant detective, he is called by the San Francisco Police Department to assist in bizarre and difficult investigations. He is a former police detective. He struggled with obsessive compulsions for much of his life, and after his wife was murdered he became unable to satisfactorily control them. He lives alone, and his personal nurse is his main companion. The television series, Monk, ran from 2002-2009 and blended mystery, dark humor, and believably-acted characters to create an enjoyable show. In the episode “Mr. Monk and the Kid,” a foster mother takes her five kids to a park. Two-year-old Tommy Grazer wanders off, and is found fifteen minutes later holding a severed, adult human finger. Monk is called to help the police figure out what happened, and he is introduced to Tommy. 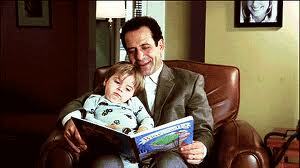 Monk takes Tommy on a walk, hoping that Tommy will retrace his steps and lead Monk to clues. While walking together, Monk and Tommy bond. A social worker informs the foster mother that Tommy will be removed pending a routine investigation, but confides to Monk that she is having difficulty finding an emergency home for him. The episode (Season 3 Episode 16) is available for instant streaming on Netflix and (for free) on Hulu. Monk feels a strong connection to Tommy, largely because Tommy keeps saying “Monk.” He offers that Tommy can live with him. The social worker quickly agrees, and Tommy immediately goes to live with Monk. 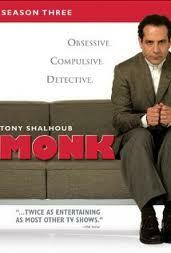 Monk finds that he loves Tommy and hopes that Tommy will love him. He says that he will never let Tommy go; later, however, he admits that he cannot even care for himself. He allows Tommy to be placed with another family. Single parenthood is affirmed as a difficult but rewarding task. Monk asserts that he would do anything for Tommy – even die for him – because he considers him to be his son, even though they’ve only recently met. Monk’s quick, unconditional (and ultimately unselfish) love for Tommy is a positive characteristic for any foster parent to emulate. Monk’s rapid acceptance of Tommy is a good thing; Tommy’s rapid acceptance of Monk is a bit problematic. Tommy is an exceptionally friendly toddler who quickly feels comfortable with police officers, Monk’s assistant, a social worker, and ultimately Monk. While Monk was flattered and touched that Tommy took to him so quickly, Tommy’s indiscriminate, rapid attachment seems reflective of Reactive Attachment Disorder, and should probably be explored rather than celebrated. Monk’s motives in taking in Tommy appear to be mixed. He cares for Tommy, quickly considers him a son, and is eager to meet his needs. However, Monk has been emotionally isolated for many years, and seems to depend on Tommy for emotional support and validation. This isn’t uncommon, but it is an unhealthily large burden to place on any toddler. The foster parents are money-hungry villains; the severed finger belonged to a violinist who they kidnapped for ransom. He is discovered in their garage, and the foster parents are arrested. It can be interesting to see foster care and adoption themes in unexpected places. 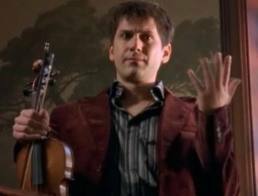 I usually enjoy Monk, but was bothered by the inaccuracies in this episode. I wouldn’t recommend this for kids; children who have had abusive foster parents might be triggered by the episode, and children who have good foster parents might be introduced to an unhelpful stereotype. Parents watching the episode might resonate with the thought that they would do anything for a child they love – even if they’ve met that child only recently. I have to disagree with the comment that Tommy might suffer from RAD, as it is seeking out pathology where it likely doesn't exist. Tommy appears to have what is broadly termed an "easy" (the other two being "slow-to-warm-up" and "difficult") temperament. His attachment to Monk did not appear pathological - if Tommy had the disinhibited form of RAD, he would have pathologically attached to pretty much anyone, which he did not. When discussing a real disorder, in this case, one that is recognized in the DSM-IV and DSM-V, it is important to understand and convey the actual pathology of the disorder, and not simply throw the term out to be interpreted colloquially by your readers. Tommy displayed an easy temperament, and so appeared friendly and well-adjusted when meeting new adults - your lay readers might be misled into fearing that their easygoing infant has RAD - in other words, seeing pathology where none exists. Hi there - thanks for reading and for the comment. Thomas' and Chess' (1977) categorizations of temperament are a helpful way to think about how kids relate to the world. I do wonder if they've ever been adapted for kids who've experienced trauma - but in any case, kids do have temperaments that are independent from their experiences - and Tommy does seem to be an "easy kid." You're right - that doesn't necessarily indicate pathology. Thanks for commenting!